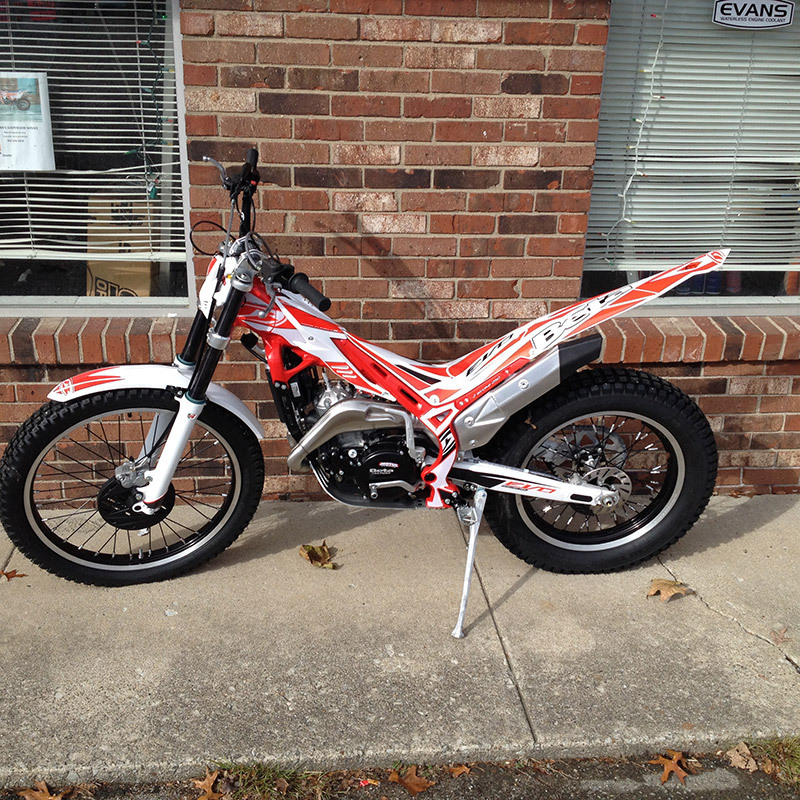 We have Demo Bikes that are prepped, and ready to be taken on test drives. Welcome to Morgan’s Suspension Service, Louisville’s premier dirt bike specialist. We’re a full service shop for dirt bikes, an authorized BETA motorcycle dealer, and a full service motorcycle repairs shop. Drop in today and see what we can do for your motorcycle. 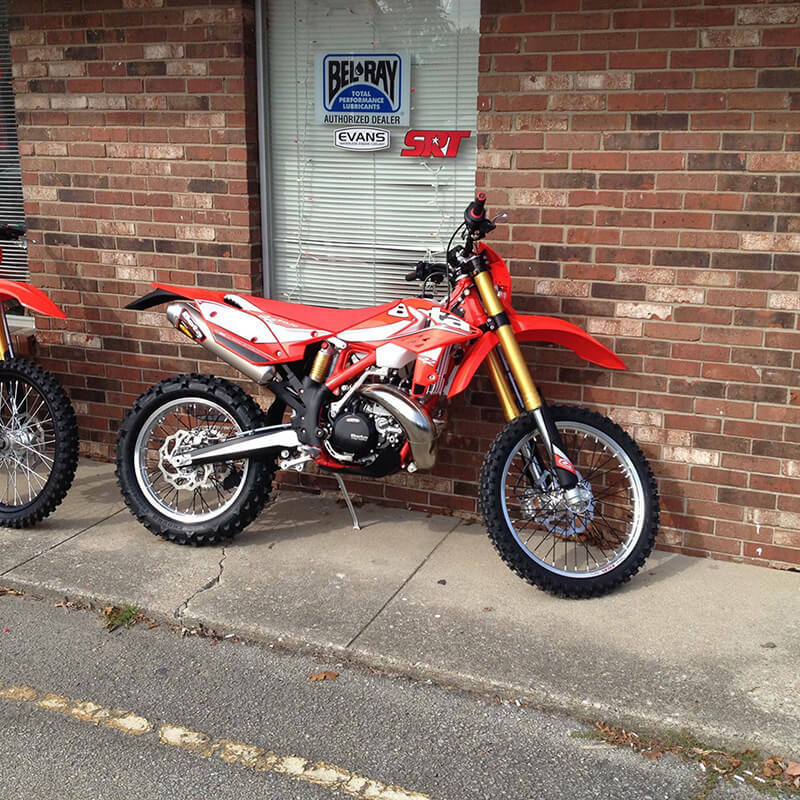 There’s nothing like the rush of riding a dirt bike in Louisville—unless, of course, your bike is damaged or malfunctioning, leaving you stranded in the woods, back trails, or boondocks. When that happens, you need a service team that has the experience, knowledge and passion for dirt bikes necessary to fix your bike quickly and efficiently. 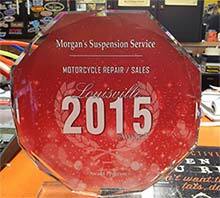 Here in Louisville, KY, that business is Morgan’s Suspension Service. 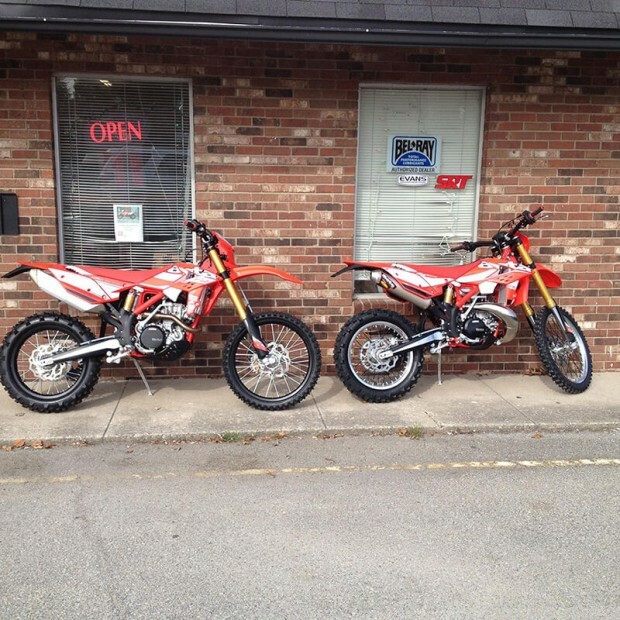 We’ve been providing motorcycle service and repairs since 2009, and our owner, Keith Morgan, has over 30 years of experience with dirt bikes. We are also an authorized dealer of BETA motorcycles here in Louisville. 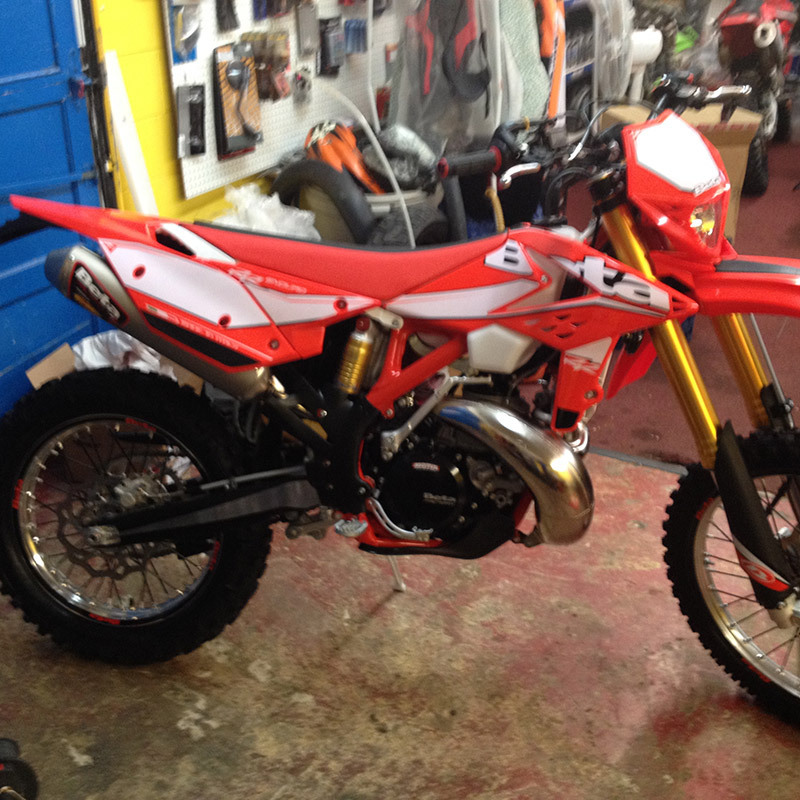 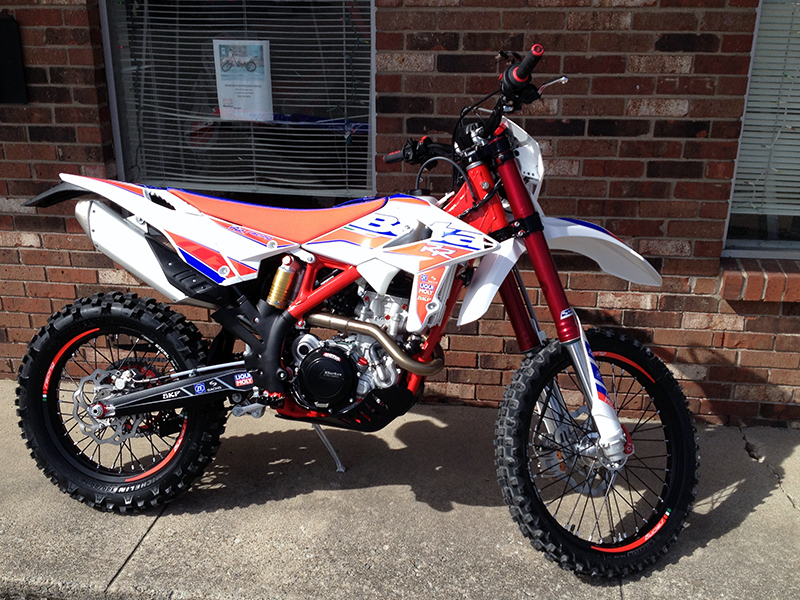 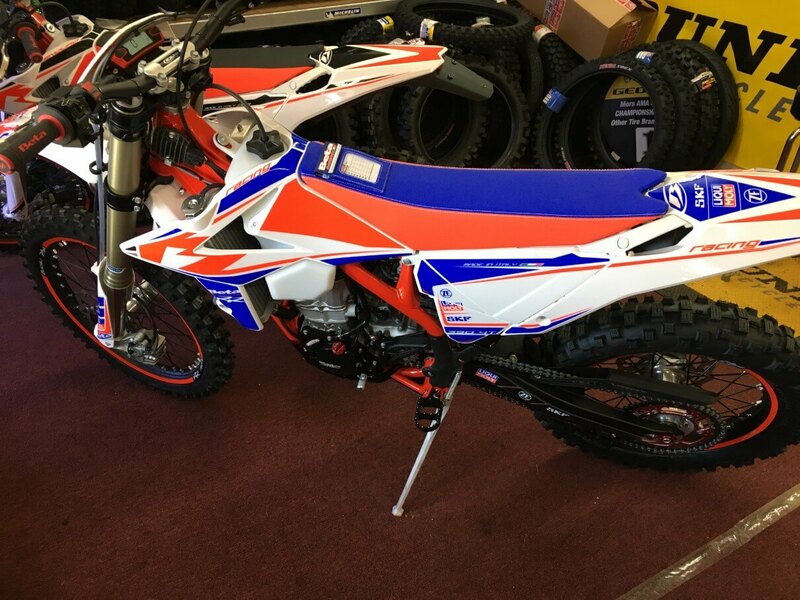 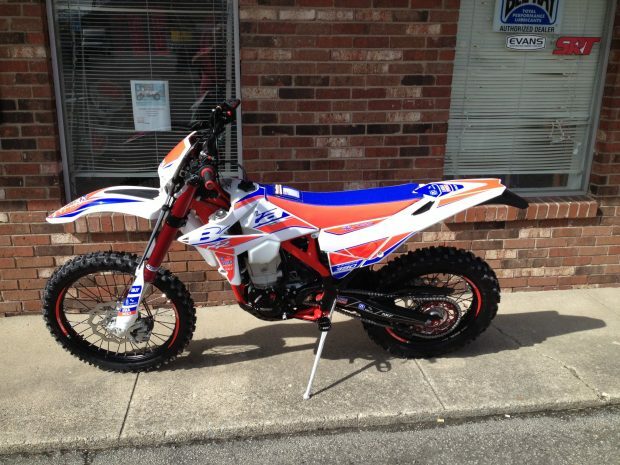 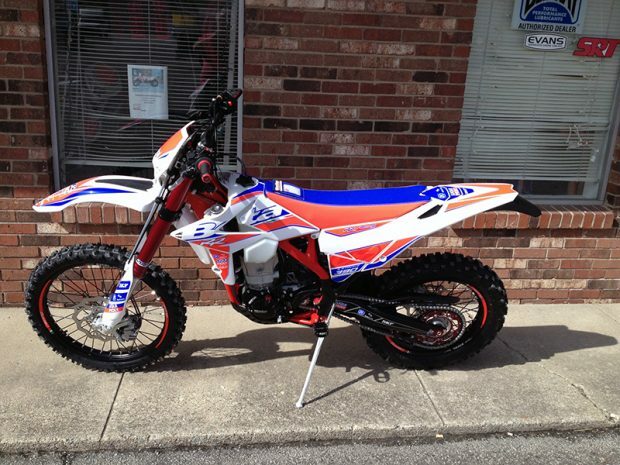 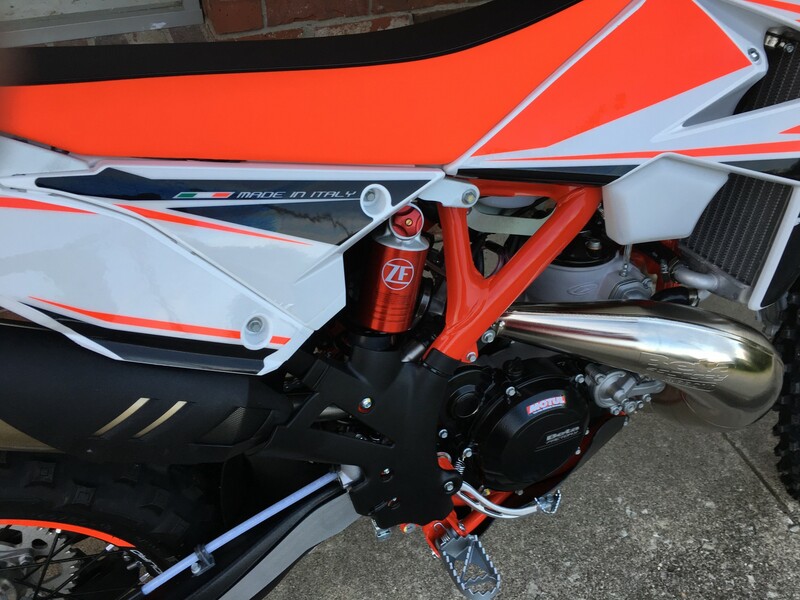 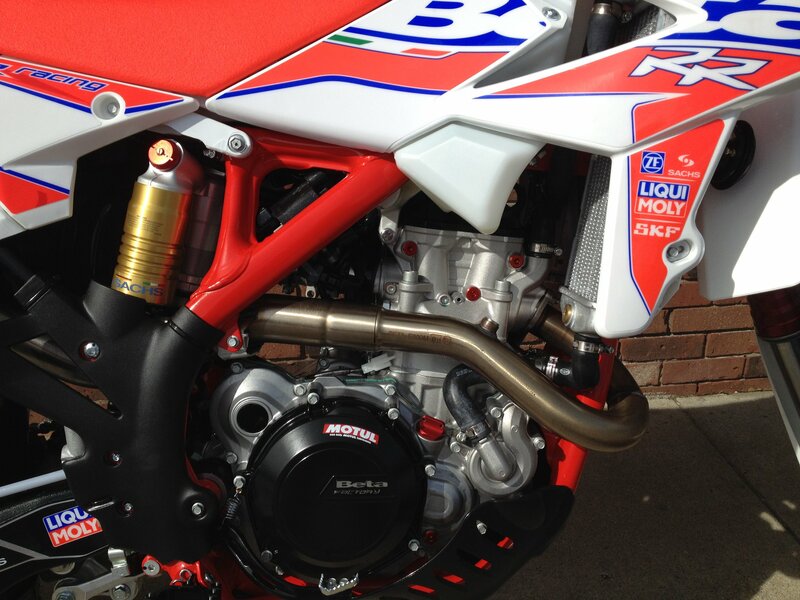 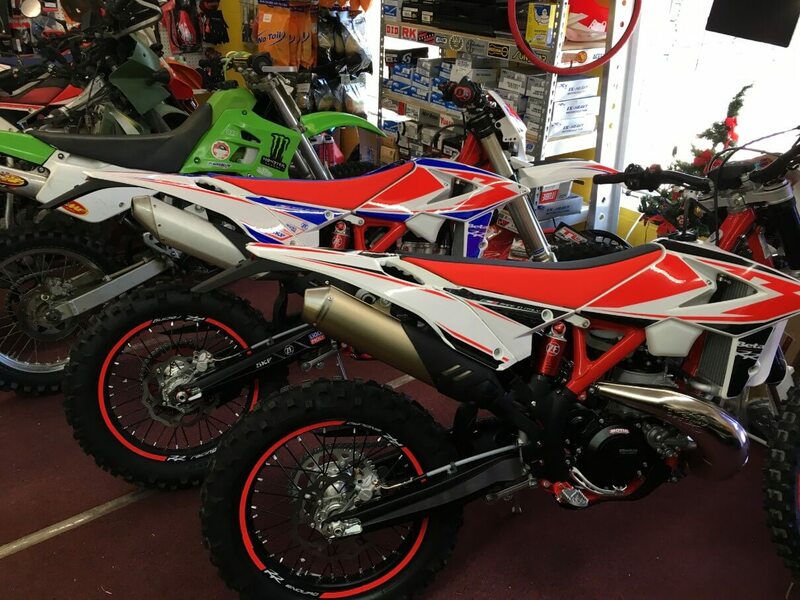 Our owner has over 30 years of experience with dirt bikes. 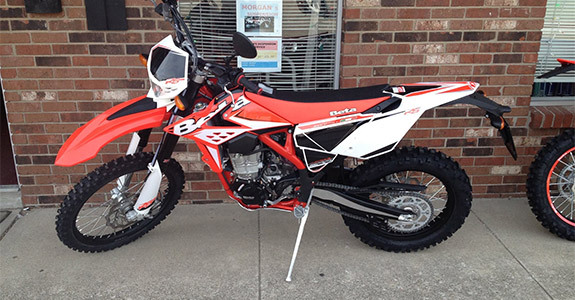 We are an authorized dealer of top brands like BETA, Helmet House and more. 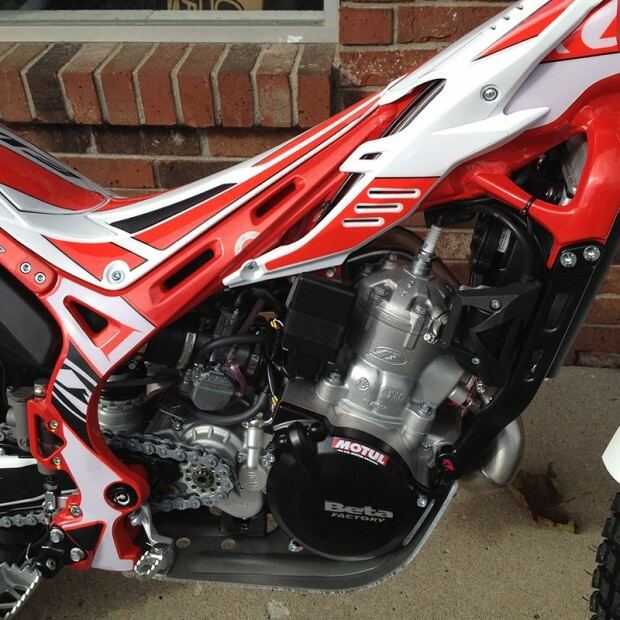 Our team of experts loves motorcycles, and it shows in their work. 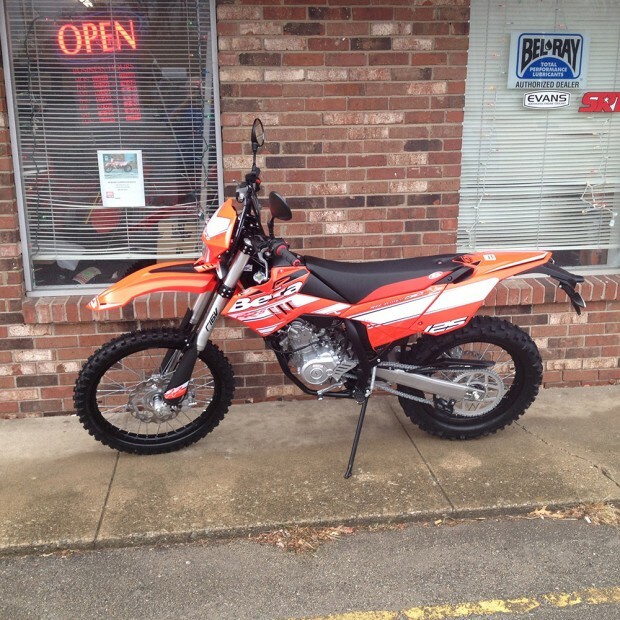 We always strive to keep our prices competitive. 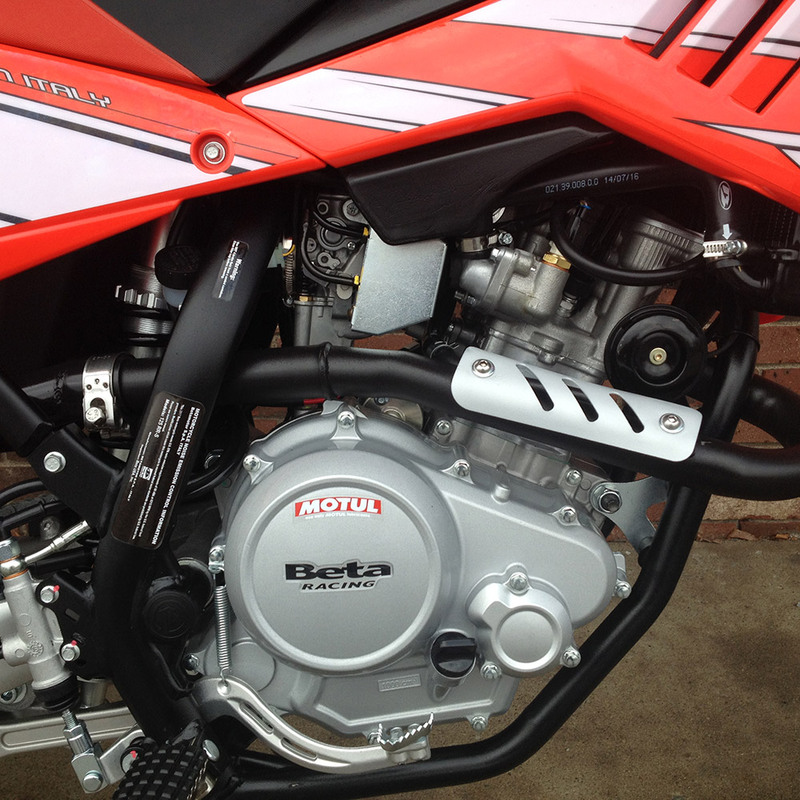 We offer basic service on street bikes including: tires, brakes, oil changes and tune ups. 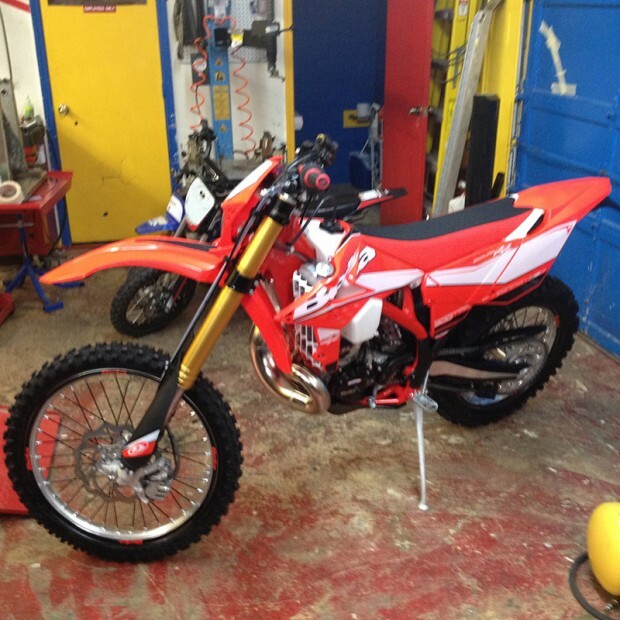 Our Services Include Full service motorcycle repair of all off roads, Motorcycle Suspension, Emergency Motorcycle Suspension, Beta Motorcycles, Beta Motorcycle Parts and repair, Off Road Motorcycle Repair and much more! 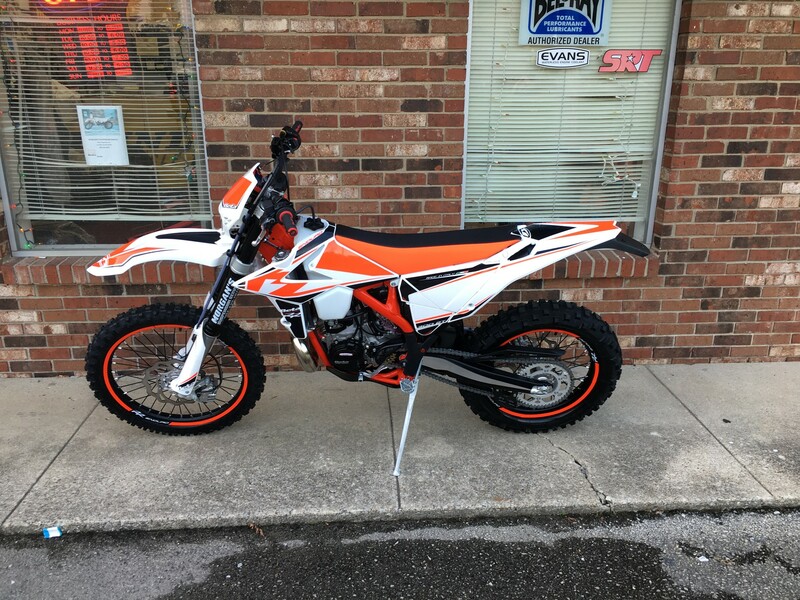 Stop by Morgan’s Suspension Service for unparalleled customer service and top-of-the-line motorcycle parts and repair work.